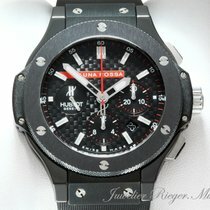 Hublot Big Bang Luna Rosa Limited Edition 301.CM.131.RX.LUN06 in a 44.50mm black ceramic case on a black rubber strap. 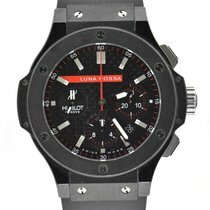 This watch features an automatic movement, black carbon fiber dial and a stunning transparent case back. 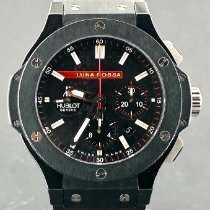 This watch comes with our 1 Year International Warranty and is a Limited Edition of 1000 pieces, tribute to Luna Rossa.